Stoney is an interesting indie/alternative act who is in fact a good bit more interesting than any of his peers. Their is something powerful and unique about the music of Mark Stoney that just transcends what common man can do. I may not be one for this kind of music but their is a unique brand of incredible power in Stoney's music that can not be denied. This is a man who lives and dies by his music, crafting delicate soundscapes that have enough heft to appeal to the modern listener. With a clear artistic direction and a unique sound Stoney often manages to impress the listener not just with chops but an incredible songwriting ability. Many of the songs are distinctly progressive, and build up to creating luscious masterpieces that reach out and touch the soul. A man who grasps the spirit of his generation in a way that manufactured top forty music could never touch Stoney can reach out and directly impact anyone whose living in this crazy era. There is a magic to this mans music and at times it is almost tear jerking. 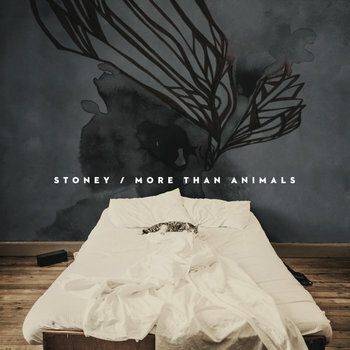 If you love music, of any kind, then be sure to check Stoney out!